A warm and reliable, synthetically insulated airmat! 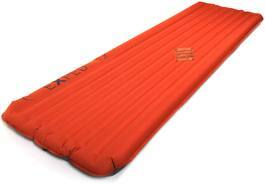 Exped Synmat 7 LW - A warm and reliable, synthetically insulated airmat! The synthetic fill stops air from circulating between you and the cold ground, making the mattress very warm. Suited for year-round use, the Synmat 7LW has a minimum temperature rating of -17°C. 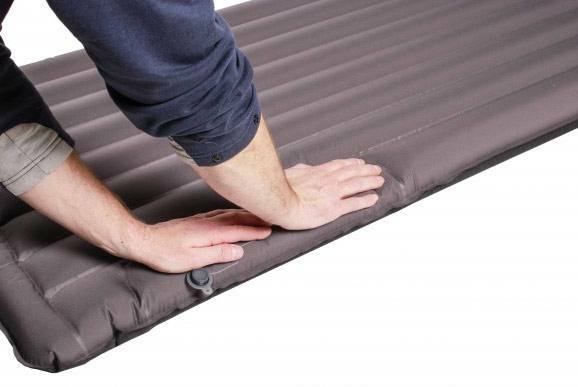 A self-inflating mattress for three or four season use. A two person airmat for summer use. Compact packing size and good sleeping comfort. Warm, compact and a reasonable price tag: a well-balanced package for three season use. A very comfortable insulated air mattress for 3-4 season use.